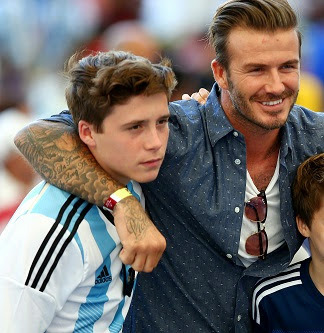 David Beckham's eldest son, Brooklyn Beckham has just been signed by Arsenal. Brooklyn was wanted by Arsenal, Manchester United and Chelsea, but after showing his skills at the Gunners' training ground, he was quickly snapped up until the end of the season. Though the contract is a short-term one, reports say there are tendencies it will be renewed before it’s over.